Utilizing the classic King James text, this handi-size book, is an ideal carry along companion for any pastor. 12 occasions are addressed in multiple formats, including: communion, weddings, funerals, baptisms, and visitations. Pastors Handbook KJV by Moody Publishers, was published by Moody in June 2006 and is our 18450th best seller. 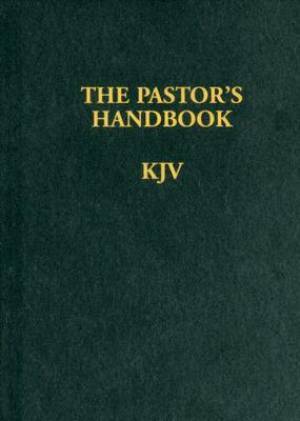 The ISBN for Pastors Handbook KJV is 9781600661396. Be the first to review Pastors Handbook KJV! Got a question? No problem! Just click here to ask us about Pastors Handbook KJV.